The word Koinonia or κοινωνία in Greek is pronounced [koy- noh- nee- ah]. Koinonia means intimate fellowship; community; real connection with transparency and trust. I am learning that life is better when it is lived within community. It is important to allow the people who love you and know you to speak into your life. To learn from the successes and failures of those around you and to be able to follow their example is a gift; a treasure that only comes from intimate and transparent community. One way that my husband and I try to encourage koinonia is a monthly party. 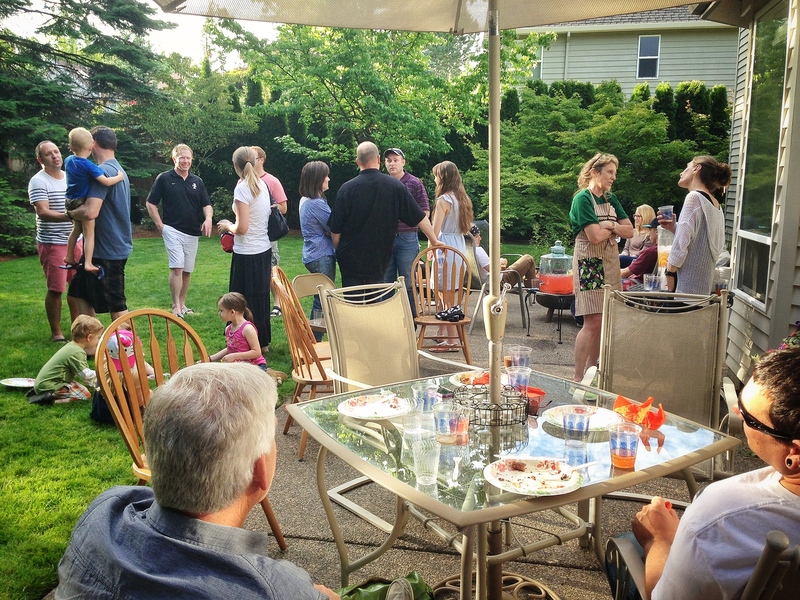 Parties with good food are catalysts to community. We throw a party, along with a handful of our friends, for anybody that wants to show up. There is an announcement/invitation from the stage during our Sunday church gathering, that anyone who wants to get more connected to community can come to the party. There is no hidden agenda, we are simply making ourselves available on a regular basis to meet and spend time with people for the sake of loving and serving others. We have seen God work in huge ways through these parties. Making people feel welcomed, loved, and worth your time and resources seems to be step one in breaking down barriers and getting to really know someone. My husband and I have been blessed with an amazing community of people who truly love us. We both seek to be transparent, available, and real with our relationships. We have amazing parents on each side that love us and support us, and friends that bless us beyond words. We meet weekly with a group of friends to share a meal together. We call this group our “missional community”, we spend time together, pray for each other, support each other, and have fun together. As a group, our focus is on two things: loving God and loving others. We encourage each other to step out of our comfort zones and be real, from pursuing genuine relationships, to praying for daily opportunities to display kindness and generosity. 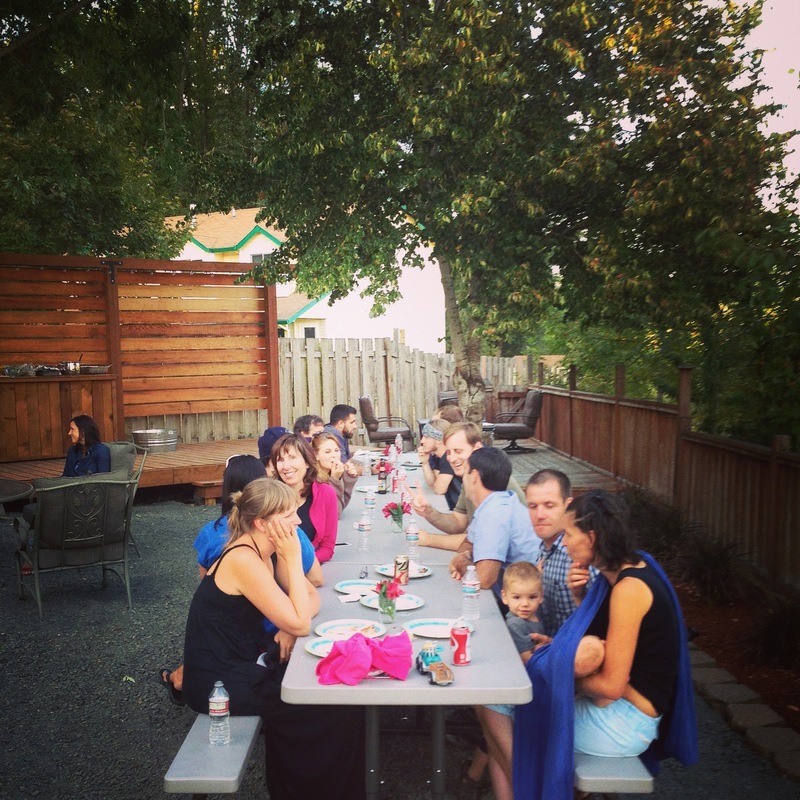 Living in community is not a program, or something you add to your already busy schedule. We simply do life together with our eyes intentionally fixed on Jesus.